Hope you had a nice weekend and are ready to stat a fresh week. In indian it's festival time so I am busy cleaning up the house to welcome god. Along with all this cleaning , I have also stared loving one of my least fav things, painting nails. 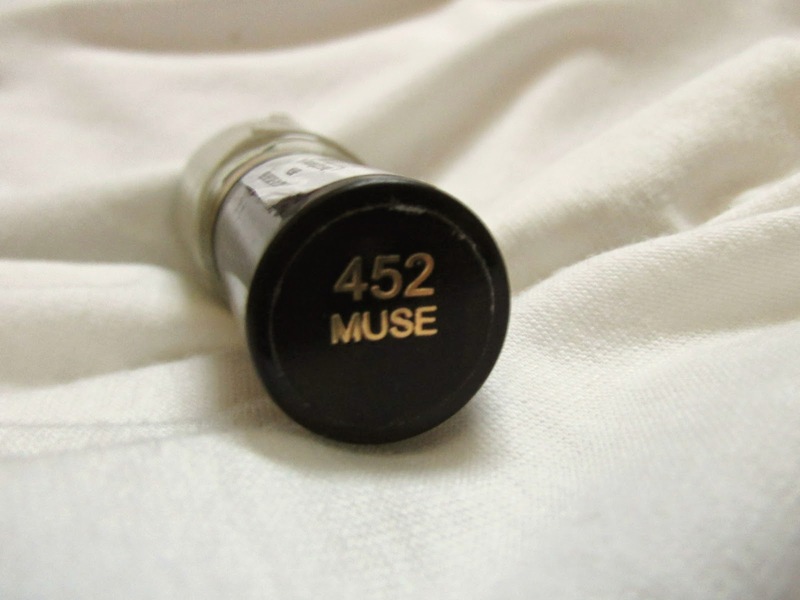 So today on my beauty diary it's going to be a nailpaint day, I will be reviewing Revlon Nail Paint in Muse. 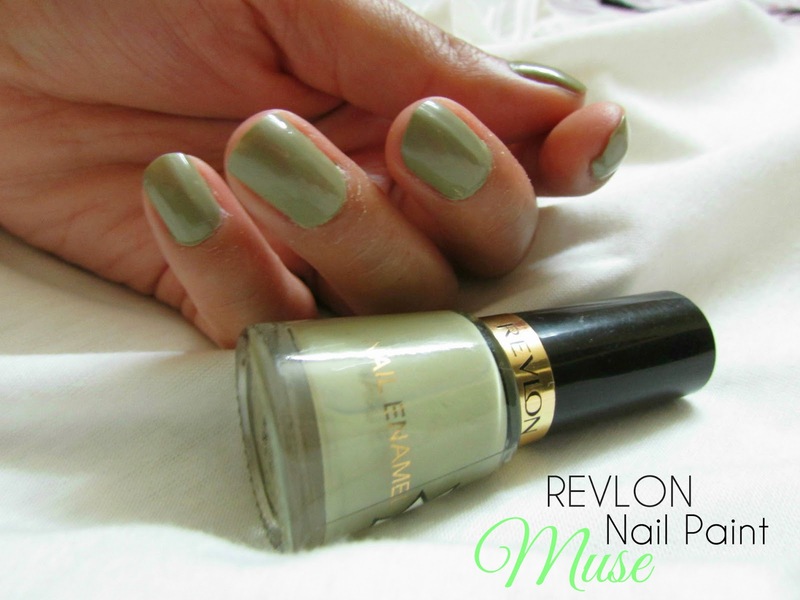 Revlon Nailpait is priced at 150 INR and has a shelf life of 3 years. 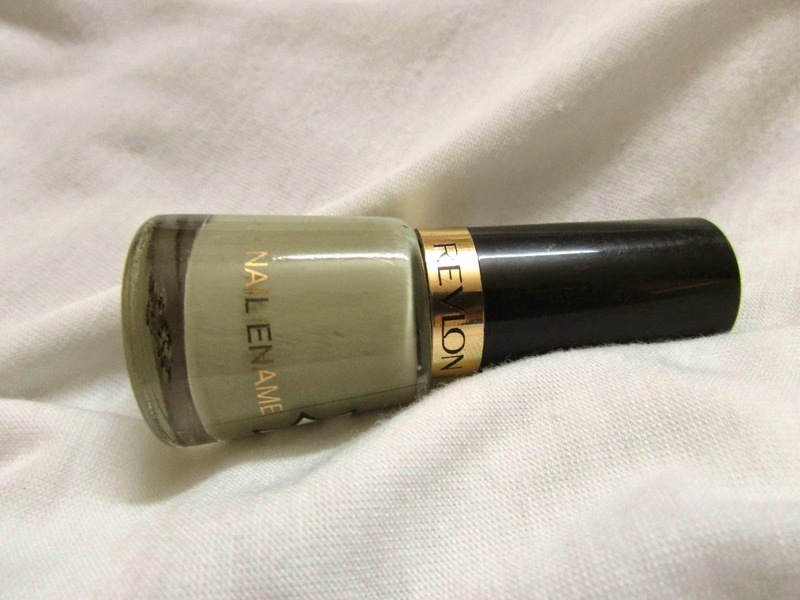 Recently I bought some makeup from color rich which by revlon and I got this Nailpant free and also a makeup kit. Have to say , this is one thing about Revlon people, they also give complimentary stuff. It has been lying since then until 5 days back when I though if giving it a try and you know what, each and every person I met has complimented me on this color. Muse is a beautiful sap green kind of a color, me and my friend actually tried to describe it and cane up with creative one, like vinegar. I have very smooth nails in which nothing stays and you won't believe this baby has stayed on for 5 days and mind you I cleaning all the time with soap water and you guys know my obsession with washing hands. The color is super pigmented , one coat is enough but I painted a thin second coat just to make Nailpant last long. 1) Brush has to be loaded with a lot of product to get smooth finish or else brush give a streaky finish. 3) The nailpaint looks not that shiny on so I prefer it with topcoat. 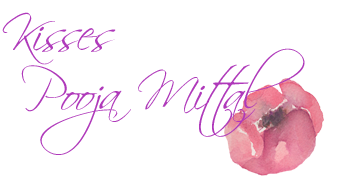 I have tried a lot of high end brand nailpaints too but this one is much better than them as far as staying power is concerned. If this revlon nail enamel stayed on my nails for 5 days then it can stay way long on yours. Such a pretty color! Love it!